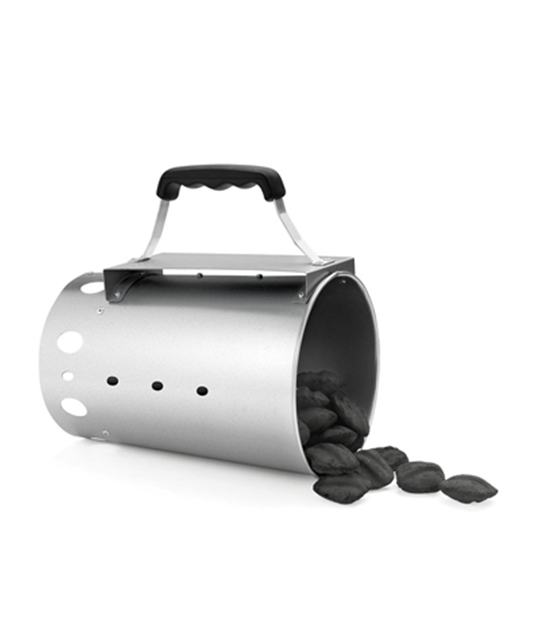 The Chimney Charcoal Starter is a quick, safe and efficient to rapidly get any charcoal upto cooking temperature. Only for outdoor use the Chimney Charcoal Starter uses a concentrated heat technique that requires newspaper and a small amount of charcoal briquittes to ensure easy lighting for any charcoal grill. 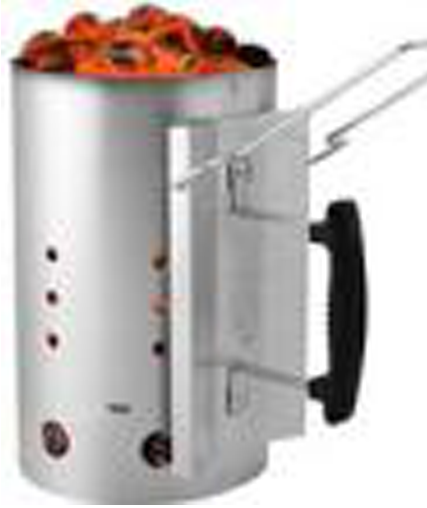 Built from a durable aluminised steel with a cool touch handle, however protective heat resistant grill gloves are strongly recommended, the Chimney Charcoal Starter will give long lasting results paying for itself through the more efficient use of fuel with less waste created with unusable unburnt or partially burnt coals.